Today we’d like to introduce you to Joe Greto. Thinking about how I started takes me back to when I was a kid. I always loved playing with cameras. My first memory of taking photos was with a polaroid camera that my father had. I remember peeling off the top of the film and being amazed at how the picture would appear right in front of your eyes. Even though I never thought of a career as a photographer in my teens and twenties I still always loved having a camera in my hand. So fast forward to 2009 when my cousin, Jhon Doria, and I were shooting a film that we wrote and funded ourselves. We bought a Canon 5D Mark II which recorded beautiful video. Since it took stills as well I started to use it for that. I started with photographing my friends for free until I felt confident with the camera and all its functions. I shot everything I could to create a portfolio including landscape, food, real estate, headshots, experimental, artistic, boudoir etc. Eventually word of mouth got me some paying gigs and now I have my own corporation. Even though I get paid to take pictures, I’m constantly trying to learn as much as I can because photography is such an incredible and evolving art. It hasn’t been a smooth road. I’m an artist. I’m not just a photographer. I’m a DJ as well as a writer and a filmmaker. I’ve been in LA for 20 years pursuing dreams. My experience through highs and lows has gotten me to a state of being more even keeled and grateful to be doing what I love whether it’s photography, DJing, writing or making a film. Having gratitude today allows me to be open for inspiration whether it’s photography, music or words. So looking back at the struggles I went through is a blessing because it’s made me a stronger person as well as a better artist. Alright – so let’s talk business. 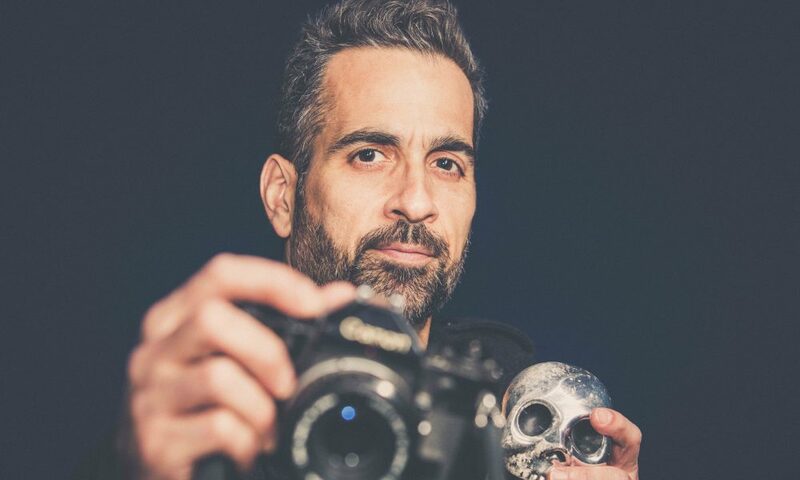 Tell us about Joe Greto Photography – what should we know? My goal when I get hired is to create the best images possible and to make sure my client is happy. The power of a photo is amazing because you could look at a pic that was taken 10 years ago and that image will bring back those memories as if it was yesterday. So if I’m shooting candids, I try to capture moments. If I’m shooting photos to sell something like an actor, musician, model, clothes or food for instance then I work to make these photos stand out and grab your attention in some way. Having some sort of connection with your subject is vital as well in order to create beautiful photos. A versatile personality is priceless as a photographer because you need to connect with your subject in that brief moment together to insure a successful shoot. People are happiest when you catch a glimpse of their personality. Having a team of talented hair and makeup artists, wardrobe stylists and set designers is a necessity as well when bringing an idea to fruition. Staying on top of the latest post production programs such as Lightroom and Photoshop is imperative as well. These programs are beasts and can do so much in capturing your vision. When I think about who has helped me along the way two people stand out. One is Dennis Hopper and the other is my cousin Jhon Doria. Dennis Hopper was that true artist, a legend who validated me as an artist. I came to LA to try and get into the movie industry and wasn’t really getting anywhere so I decided to write my first script. I didn’t go to film school so I relied on my instincts and knowledge from reading several books. Long story short, I was fortunate enough to meet Dennis who loved my script and wanted to direct it. The fact that he connected with it and the beautiful things he said validated me as an artist. Unfortunately, it didn’t work out as far as making my script into a movie but the connection I had with him as artists has stayed with me and continues to feed me to this day. My cousin Jhon has been someone who has challenged me and pushed me to be the best artist I can. He’s a prolific artist as well. A filmmaker, writer, actor, musician. We’ve collaborated on projects together as well as supported each other on our solo projects. He’s pushed me and challenged me to be more productive as well as to be more fearless in my work. I feel blessed to have someone like that close to me that’s pushing me to be more productive and to keep striving for greatness. So, all in all, these two guys have helped influence me and my photography. Had the pleasure of collaborating with Joe Greto, last month, whilst he was shooting, here in Santa Fe NM. Grateful for the beautiful frames that were shot, but also; was fun to see this dude in action…. Mr. Greto was super laid back & wicked talented, rare find. Thank you Willow! I’m so glad we got to collaborate! The client was more than happy with the final product thanks to YOUR genius! Talented photographer, striking images. No doubt this is just the start of his journey. Thank you Devyn! Looking forward to shooting with you again! Knowing Joe well back in our days at the great institution known as Valhalla (NY) High School, it’s refreshing to see him pursue his passions in photography and filmmaking on the west coast. I don’t believe those arts were even offered as elective courses at our school. Working hard and following dreams may sound cliche, but this passion is evident in Joe’s masterful work. Talent such as Joe’s needs to be elicited from the individual and nurtured. Proud of you Joe, keep up the fantastic work…. You’re a good man Drew Cap! I appreciate the support and the kind words! We’ll have to catch up next time I’m back on the east coast! Joe Greto is amazing! He did a photo shoot with me when I was 9 months pregnant on the beach in Santa Monica. The photos were breathtaking. His talent behind the lens is pure genius.